– making it simple, fast and efficient for all parties. • The Agent will be provided with a flyer to distribute to prospective purchasers with instructions on how to buy an existing report along with an image that can be placed within your photo gallery for the property listing to notify of the existence of a report. • Every time a report copy is bought off our website, the Agent will be notified immediately of purchased reports by email of the prospective purchaser’s name. • If the final Purchaser of the property bought a copy of the report from us, the balance of the report will be payable by them. If the property does not sell or the final Purchaser did not buy a copy of our report, then the balance is payable by the Vendor upon the signing of the Contract or within 6 weeks of the report being ordered (whichever comes first). The balance payable will be $425.00* for a Building & Pest Report or $225.00* for a Strata Report. • The Vendor must advise Childs Property Inspections of the Purchaser’s details upon exchange or within 6 weeks (whichever comes first) to ensure that the final costs are passed to the Purchaser, otherwise the balance will be payable by the Vendor. • The total discounted cost to either Purchaser or Vendor for the Building & Pest Reports is $475.00*, and the total discounted cost for the Strata Report is $275.00*. *These prices are subject to change for exceptionally large or more remote properties, however the Vendor will be advised as soon as we become aware (note this is expected for less than 95% of inspections). Purchase your personalised Building & Pest inspection report for a discounted rate of $50* (including GST) – normally $520. Why choose Childs Property Inspections? 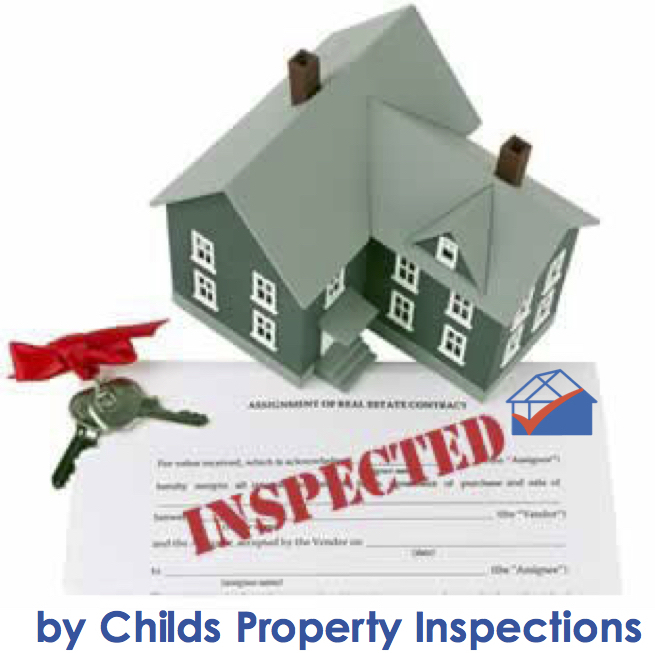 Childs Property Inspections are the market leaders in providing property inspection reports for pre purchase building, pest, strata and completion inspections. Our reputation and expertise from more than 19 years servicing Sydney’s commercial and residential properties has enabled us to develop an advanced online system that is simple, fast and efficient – as well as cost effective for Vendors and Purchasers. Childs Property Inspections have a reliable team of specialist inspectors who provide first class service across Sydney, and with fast turnaround, our reports are clear and easy to understand. for all your Pre-Purchase Building, Pest, Strata and Completion Reports! What is a Vendor Report? A Vendor Report is an inspection building and pest report and/or strata report that is carried out at the Vendor’s request. This report can then be made available to prospective Purchasers. Should I get a Vendor Report? A Vendor Report can save a lot of time and money for both Vendors and Real Estate Agents. When a Vendor gets a report they are armed with the information that prospective Purchasers will have on their property which can give the Vendor the opportunity to rectify issues if they wish. If a Vendor or Agent wants Purchasers to be able to act quickly to purchase a property or to be able to participate in an Auction at the last minute then having a Vendor report available can make this possible. Are there different types of Vendor Reports? The highly successful Vendor Report system offered by Childs Property Inspections is where inspections are carried out by Childs Property Inspections for a minimal fee and reports are then made available through the Childs Property website to prospective Purchasers for a minimal fee. provides full insurance coverage for the Purchaser and takes liability away from the Vendor and/or Real Estate Agent. Childs Property Inspections has the highly valued, instant service for these inspections, where Purchasers can instantly download a copy of the reports in their name (providing the insurance to them for the reports). This can be done at any time, 24/7. Without this facility Purchasers are left open to non-coverage of insurance and Purchasers may not be able to make last minute offers on properties. How do I order a Vendor Report? Childs Property Inspections is the preferred provider of Vendor Reports for many Real Estate Agents throughout New South Wales. Ask your Real Estate Agent to arrange the inspection or click here to send an enquiry and we can arrange a Vendor Report directly through you or your Agent. We have various pricing structures, depending on the model that suits you and your needs. Can a Purchaser trust a Vendor Report? A Purchaser should only rely on a Vendor Report if the report is issued in their name. If the report is relied upon without being issued in the Purchaser’s name then insurance will not cover the Purchaser should this become necessary. If the building and pest report and/or strata report is issued in the Purchasers name immediately and the Purchaser has access to the report immediately then it is safe to purchase a Vendor Report. Is a Vendor Report unbiased and independent? Both Vendors and Purchasers should ensure that a report has been carried out by an independent and reputable inspection company. If the inspector or inspection company has any business or personal connection to the Agent or Vendor then the report should not be relied upon. Both Vendors and Purchasers should ask this question. A Childs Property Inspections inspector will not carry out a Vendor report if there is any bias or association with the Vendor or Agent and therefore a Childs Property Inspections Vendor Report is independent and may be relied upon by Vendors, Agents and Purchasers.